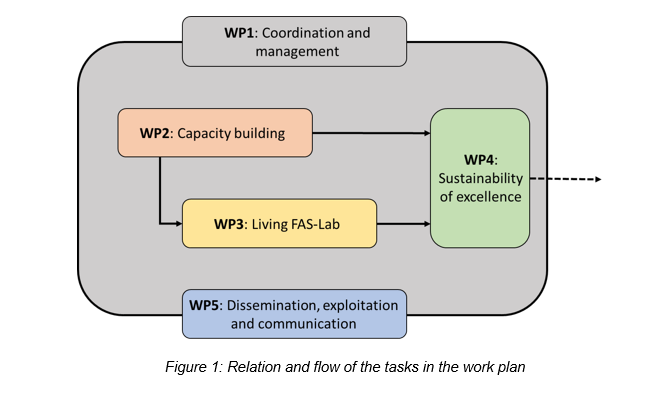 FASTER will reinforce research and knowledge transfer capacity of INRGREF (Tunisia) related to innovative land and water management in view of climate change and its implementation through the use of Farm Advisory Systems. Tunisian agro-ecosystems face considerable challenges in the context of global change. Farmers need to adapt to the recurrent impacts of climate change, such as water scarcity and forest fires, and at the same time contribute to food security for an increasingly vulnerable society. The support that Tunisian farmers need to face these challenges can be delivered through the improvement of Farm Advisory Services (FAS), reinforcing the ability to transfer knowledge. The FASTER project contributes through the creation of interactive spaces or FAS labs, where researchers, public administrations, educational institutions and professionals can work together with local farmers to adopt innovative practices and science-based adaptation solutions to climate change. These FAS-labs will be able to improve mutual learning through active participation and also contribute to the creation of excellent research capacity and the construction of international networks thanks to the studies developed and the relationships established within the framework of the project. The reinforcement of researchers and technicians of INRGREF and associated centers will be developed by the EU partners of recognized scientific excellence in the subject and demonstrated experience in economic impact assessment, awareness rising and integration of science in sectoral policies at national level.